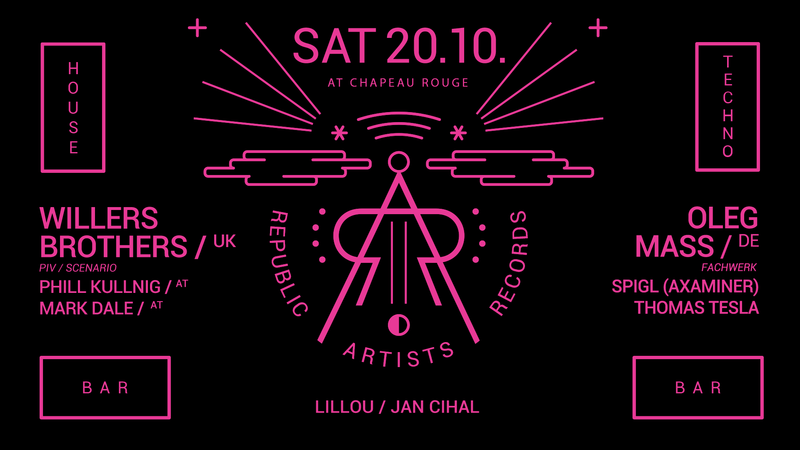 Republic Artists Records, London’s home of underground house, techno & good times is back at 3 floor building Chapeau Rouge Prague. We welcome two special guest: Oleg Mass from Ukraine and British siblings The Willers Brothers. Join the troops partisans!